The rise of visual social media platforms such as Instagram, Pinterest and Vine has really changed the way that businesses approach their content marketing strategies. Although voice is a major part of getting your business’ ideas heard, visual communication such as images of products and memes relevant to the industry can also give your customers an instant idea of your services. For a twist on traditional strategies why not try our easy guide to driving traffic to your website using Instagram. The first rule for producing engaging and enticing content is to make something that you’d be excited to read or look at. 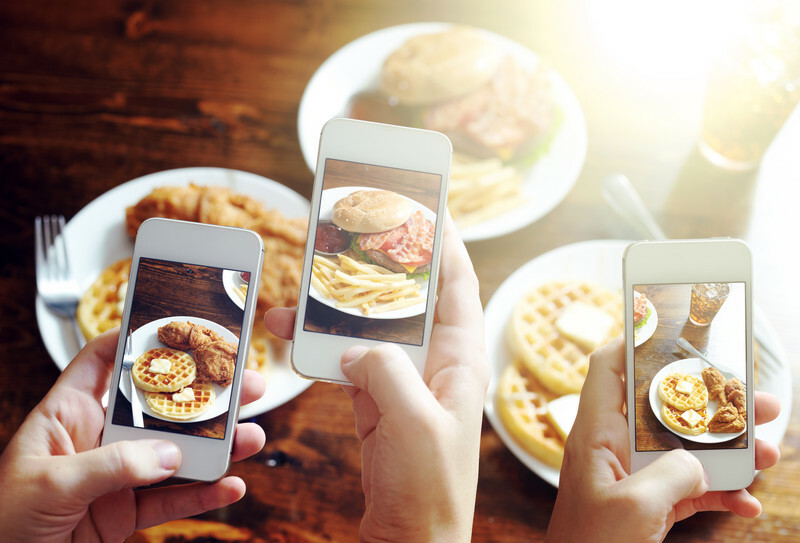 Although it might be tempting to fill your profile with images of your business’s new products be weary of its ability to look almost completely like spam. Be creative with the ways you choose to display your products and consider relating your posts to the seasons, national holidays or even viral news stories. Entice your followers by giving them exclusive looks at your products and services. Make the feel exclusive and they’ll keep returning to your profile. Just like Twitter and Google+, hashtags are a great way of organising posts and engaging with wider audiences. Try researching relevant hashtags with some sort of standing in the communities you are looking to join. Popular non-specific ‘trends’ such as #TBT (take back Tuesday) are a great way of showcasing any past accomplishments and adding a personal touch to your business. Using no more than three different hashtags will push up the possible level of reach and gain more followers. Like all social media platforms it is important to engage with your followers and any individuals who decide to comment on your content. Whilst replying to each individual like or share might be quite a task, reply to all questions by tagging the individual in the comment so that they are notified of it – it’s also a nice personal touch! Promoting blog posts via social media is a great way of driving traffic to your website. Informative content that really grabs the readers’ attention in regards to relevance and readability is a must for any blog post so why not share it with the world of Instagram? Uploading an image relevant to a new blog post alongside a shortened URL will enable you to extend your post’s reach. Use an eye-catching visual and really show your flair and knowledge. Adding social media icons to your website allows your visitors to click through quickly to each of your accounts. The advantage of utilising Instagram in your social media marketing strategy is that it reflects the ever-decreasing attention of internet users. Consider adding an Instagram-based widget (or gallery) onto your website’s homepage to offer an example of the kind of content you upload. Content marketing is a two-way street. Don’t focus completely on getting traffic from your Instagram profile to your website also consider gaining followers in the reverse. Make the most of your visual content and let it shine. This entry was posted in Content Marketing, Social Media, Tips, Websites and tagged content marketing, drive traffic, instagram, Social Media, social media tips on October 14, 2015 by Pinnacle.